Oldham Community Power is a Community Benefit Society that has been formed to install community-owned solar panels on schools and community buildings in Oldham. The society is run by volunteers who are Oldham residents and have significant combined experience in the community energy sector, being involved in successful community-funded energy installations. 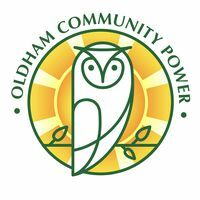 Our share offer is currently live; please follow the link below for information about how you can become a member of Oldham Community Power for as little as £100 to support the project.